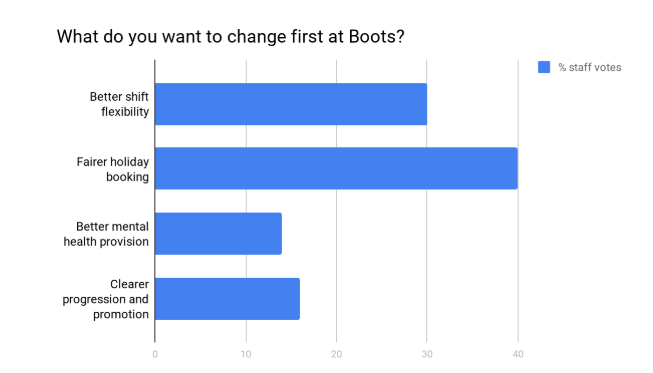 In the last couple of days, over 100 Boots staff have been sharing ideas of what they would change about work. Right now, Boots staff have to book all their holiday at the start of the year. It means they can’t be flexible around childcare and getting away for a break. Right now, Boots staff are putting together their petition demanding a fairer holiday booking system. Once it’s finished, Boots staff will confidentially sign the petition and then vote on how they want to present it to Boots HQ.